Spoon approximately 2 TBSP of pudding into each serving dish. 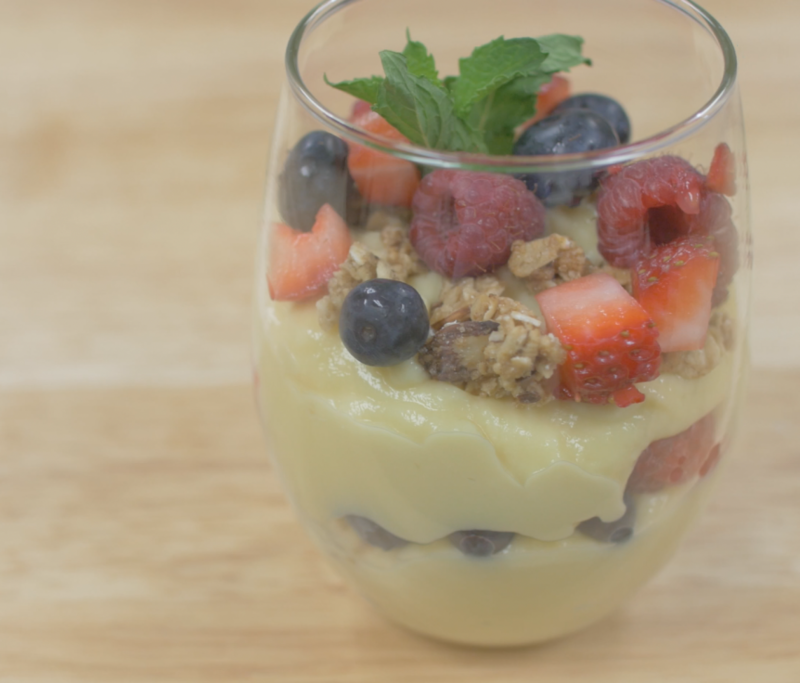 Top with granola and berries. Divide remaining pudding evenly among the serving dishes.